Good news, Bluetooth fans, because the technology is set to gain some new functionality around a new mesh networking specification. The Bluetooth Special Interest Group (SIG) announced in a briefing with press that the change will improve Bluetooth LE devices across multiple categories, particularly home automation devices. The move will allow devices built into homes to communicate with each other via a new mesh network, offering a more scalable solution than what is currently possible. The move apparently comes after many requests from member companies, and as of right now, the addition is available for use in accessories with Bluetooth LE 4.0 chips. The new mesh capability enables many-to-many (m:m) device communications and is optimized for creating large-scale device networks. It is ideally suited for building automation, sensor networks and other IoT solutions where tens, hundreds, or thousands of devices need to reliably and securely communicate with one another. It’s not just home automation and Internet of Things solutions that will benefit from the new mesh network capabilities though, with the SIG also pointing out that industrial solutions for factory automation will also be improved thanks to the newly added capability. New control and automation systems, from lighting to heating/cooling to security, are about to make homes and offices a lot smarter. 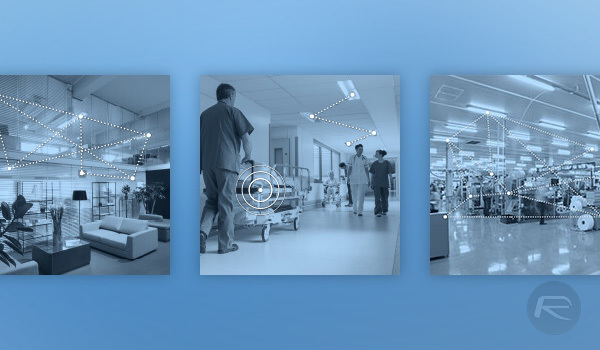 Bluetooth mesh networking supports these smart buildings, enabling tens, hundreds or even thousands of wireless devices to reliably and securely communicate with each other. According to Bluetooth SIG, we can expect to see devices taking advantage of the new mesh networking capabilities of Bluetooth LE 4.0 within the next six months, but importantly, any device with the required hardware built in right now will also be upgradeable via software should hardware makers feel the need to do so. That could be huge, though it does need those hardware companies to want to update their existing devices rather than take the opportunity to sell new kit.